We’d love your help. Let us know what’s wrong with this preview of The Fire Sermon by Francesca Haig. The Omegas live in segre When Zach and I were born our parents must have counted and recounted: limbs, fingers, toes. We were perfect. They would have been disbelieving: nobody dodged the split between Alpha and Omega. To ask other readers questions about The Fire Sermon, please sign up. Anyone know if this book has a cliffhanger? Is there any notable romance? Karoline Aasen Yes, this contains a love story. A sweet one. so, there was a blast and it destroyed the world and there’s no more electricity but now every birth results in mixed-gender twins and one is always physically perfect and the other is either missing a limb, or has extra limbs & etc, and the perfect twins are known as “alphas” and given all good things, while the others are called “omegas,” hot-branded on their infant-foreheads and sent off elsewhere to struggle and be poor, but not too poor and struggly, because the twins have a bond and if one twin dies, so does the other! if one twin is injured, the other feels it! - wait, what? but why? and how? doesn’t matter, it is “unknown,” but so anyway there’s one other kind of omega and they’re like stealth omegas because they don’t have extra fingies or anything but they are seers who can see the future. or sometimes the present but like really far away. or the future. no one knows, it’s kind of an anything goes kind of seeing and sometimes it’s real and sometimes it’s “maybe” and sometimes it’s detailed and sometimes vague or maybe even allegorical. doesn’t matter, it is “unknown,” but so anyway there’s an omega girl named cass and she’s a seer and her twinsie brother zach grows up to be really powerful and to most people he would be considered evil, but she understands his emotional layers even though they have been separated for years and even though he kidnaps her and imprisons her, she’s still got twinlove for him and is sure he just needs some perspective and maybe a stern talking to and then he won’t be so bad and she escapes and finds a boy who’s like a science project and they go on the run and kiss and try to find safety and be heroes and they meet rebels and things get complicated and cass really just wants everyone to get along and be together forever twins. but it kind of does matter, especially since this is being targeted at the adult market. and before you start torching my lawn, i’m not saying anything disparaging about YA fiction, but we all know that there is some YA fiction that is densely plotted and richly textured and as literary as all get-out, and there’s some that is more about delivering instant gratification to reluctant readers, skimping on the details so as not to frustrate a young, less-experienced reader with a limited attention span into going elsewhere for their diversions. and this skimps on many of the details, in both the world-building and the character development. we have a romance that grows out of not much more than proximity, that sustains itself through challenging situations in the manner of YA romances where although newly met, they understand each other like a long-established couple who don’t even need words to communicate and they will fight, kill, or die for each other and nothing will threaten this bond that’s still sticky with novelty. it’s also philosophically superficial, finger-skimming fairly complicated social and moral quandaries in broad strokes of murder, heroism, sacrifice, without nuance, by characters who don’t seem to understand the world they are in, the consequences of their linked destinies, and must be reminded of the facts, many many times, by cass. it’s an intriguing premise, but i need to know that there’s a design to it, something more than “hey, listen to the weird dream i had!” the fact that the synopsis for the second book (on goodreads, at least) is the exact same synopsis as this first book is not encouraging, but i’m going to read it soon so i can read the third book and appease the gods of the gr giveaway! This has such an excellent start that I was immediately drawn into the fascinating story. It's set in a post-apocalypse world that has been destroyed by a catastrophic event, called the Fire Sermon, which has killed thousands of people. In the aftermath of the blast the only children that are born are twins. One is perfect, the Alpha, and the other is deformed, the Omega. They are separated at birth, when their categories are usually known, and are forced to live apart. The Alphas live like king This has such an excellent start that I was immediately drawn into the fascinating story. It's set in a post-apocalypse world that has been destroyed by a catastrophic event, called the Fire Sermon, which has killed thousands of people. In the aftermath of the blast the only children that are born are twins. One is perfect, the Alpha, and the other is deformed, the Omega. They are separated at birth, when their categories are usually known, and are forced to live apart. The Alphas live like kings whilst the Omegas live in perpetual poverty, except in some rare cases, like this one, when the defect isn’t always visible. Thus, Cass and Zach grew up together. It was never clear, to others, which one was the dreaded Omega, so they both walked between worlds. The other Alphas accepted neither and other Omegas feared a possible Alpha; consequently, the two grew up alone. Zach became resentful to his sister as he eventually leant of her seer abilities, which made her the dreaded Omega. He wanted her gone; he wanted acceptance, and only through proving his sisters deformity can he get it. The complex relationship that developed between the twins is what made this novel exciting and original. Indeed, the novel begins with Cass narrating the story from a gloomy prison cell. Her brother put her there. She tells the story of how it occurred as she recounts her childhood, and then the novel goes into present time as the narrative catches up to Cass’s present state. She dreams of escaping to an island she has only seen in her dreams; it is the only refuge for the Omegas. The island is a safe zone for all Omegas; it is a place they can be free from the ruling of the Alphas, but never completely as the bond between the twins goes further than any other. If one dies so does the other; if one is harmed the other feels it. This creates an extremely awkward and complex dynamic between the two siblings. They are enemies that cannot defeat each other because if they do they will destroy themselves in the process. However, despite the novels excellent plot Haig’s storytelling was disappointing. The ending of this novel was too strong. She wrapped up too many things and provided too much closure. This means that when going into the next novel there is only one problem left to resolve; the result is less anticipation for the next instalment. In addition to this, parts of the novel where to long and would have been more effective if they were condensed down. For example, there was a round seventy-five pages of travelling in the wilderness that could have quite easily been more like forty or so. Also the first quarter of the novel was written in a very eloquent manner but, the rest wasn’t. 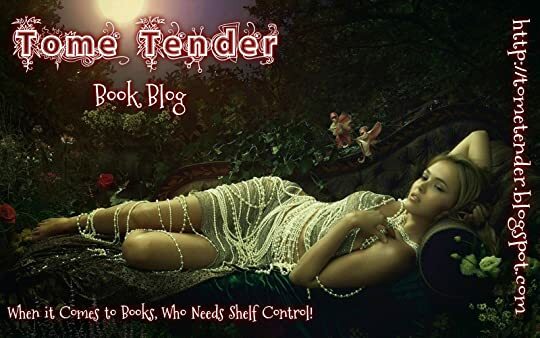 She had definitely spent more time polishing her prose in the early parts of the story and the result was a very tight and precise piece of writing. The rest of the story seems to lack her initial poetic touch; this made certain parts of it feel flat, again, such as the travelling parts of the book. The protagonist doesn’t develop her power very much either. In spite of my criticisms, I do feel that this series has promise.The author has some really good ideas and if she can create a steady hand with her writing style; if the characters have room to develop further and become more rounded the trilogy has potential to be something quite good. I will read the next instalment, but I do hope it’s better than the first otherwise I many not read the third. De lo mejor que he leído este año. ¡Os hablaré de él la semana que viene en el canal www.youtube.com/mayrayamonte! This story had lots of potential, but it didn’t quite fulfil it for me. Cass was a strong character, and she held up well against the threat of the alphas and the situations she was put in. Kip was also a likeable character, and the pair worked pretty well together. The ending to this had a couple of twists that I didn’t see coming, and a couple of unexpected deaths. In short: Good world building, good writing but unappealing characters. I can understand why this book has already been optioned by Dreamworks for a movie. The world building is quite unique and fascinating and the author has done a great job describing it from Cass’ point of view, an Omega seer. As a reader you really get a feel for the post-apocalyptical world the characters are living in. At first the book took of great but and the story was told well, the pacing was just right but then, durin In short: Good world building, good writing but unappealing characters. At first the book took of great but and the story was told well, the pacing was just right but then, during the second half of the book I lost interest. The story progressed very slowly, started to get repetitive and dragging. After the escape from the Keeping Rooms Cass and Kip are always on the run, traveling through the post-apocalyptical landscape and the only change is traveling on horseback, walking by foot or sailing on a boat. But really everything is just a long suffering on the road. Francesca Haig may be a good writer but Cormac Mc Carthy she is not. There are some plot twists that I could see coming from a mile away. One of the main problems I had with the novel is the characters. Cass and her male counterpart/love interest Kip are just so unappealing. She has this “holier than you” attitude and kept repeating her opinions like an annoying chant. As a character she is not really progressing or changing. There is no “Aha”-moment. From start to end she remains the same. Kip is not a warrior. He is saved by Cass, has no memory of who he is (or his twin) and his character has no hero attitudes either. Instead of fighting he would rather stay hidden as a farmer or some such thing. The romance between those two left me cold. I didn’t get it at all. I will be reading the second book. The world was really rather interesting. On a side-note: I don't get why this is considered Young Adult. Cass is 22 or 23 years old for the most part of the story (13 when she is separated from her twin, 6 years living in the omega farming colony, 4 years of being hold captive in the Keeping Rooms). Loved the writing - I've heard that Haig is a poet, and that definitely shows in the writing, some of it is just downright beautiful. I also enjoyed the world itself, though no real information was given about the disaster that caused this postapocalyptic world and I would have liked to know more. Maybe in book 2! Character wise, the protagonist is likeable enough although I did find her a bit whiny, and I would have liked a little more growth from her, but again... maybe in book 2! I liked some Loved the writing - I've heard that Haig is a poet, and that definitely shows in the writing, some of it is just downright beautiful. I also enjoyed the world itself, though no real information was given about the disaster that caused this postapocalyptic world and I would have liked to know more. Maybe in book 2! Character wise, the protagonist is likeable enough although I did find her a bit whiny, and I would have liked a little more growth from her, but again... maybe in book 2! I liked some of the supporting characters more, and especially liked the antagonists. I love a good bad guy! Twists were great, mostly unpredictable, and as a general concept I think it's great. Pacing was a little inconsistent, but not distracting once I got past the one big slow spot. So yeah, good and enjoyable but not amazing. I think I'm just getting a bit bored of dystopia where the society is broken/corrupt/dying... but the MC is 'different' and the only one who can change the world. It's getting a bit formulaic. In this instance everyone is born as twins, one a 'perfect' Alpha and the other a 'deformed' or in some way disabled 'Omega'. Our main character's 'deformity' is that she's a seer (kinda like a psychic). Now, correct me if I'm wrong but that's an Ability. A fairly useful ability. That's quite a big advantage she has over the rest of her kind who are hobbling around with missing limbs. She kinda lucked out there. So of course she must save the world. Está bien el planteamiento, pero la historia tiene algunas lagunas. Por lo demás, me ha gustado. This story follows the synopsis pretty well. The Fire Sermon definitely has Cormac McCarthy’s The Road feel to it. In the far future, after a nuclear apocalypse, the survivors carry a genetic abnormality. Every baby is born a fraternal twin, one boy one girl. One twin is “normal” (Alpha), the other twin has a congenital abnormality (Omega) and is born sterile. In rare instances, the Omega has psychic ability and no physical abnormality. Every twin is linked even though they are separated as soon as the Alpha is identified. When one dies the other ones dies as well. Cass is an Omega that has the gift of sight. 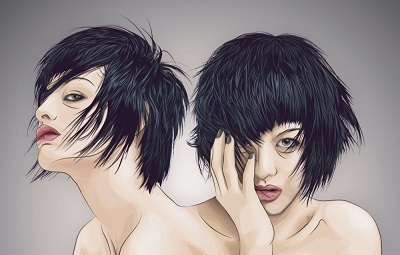 Because she had no obvious abnormality, her and her twin weren’t split until much later then most twins. All Omegas are sent to live with their own kind s Alphas don’t have to remember that they exist. In this story Cass (Omega) is sent to live with other Omegas in a village far from her home. Her abnormality makes her an outcast, even among other outcasts. The story starts with Cass being captured and thrown into prison for her and her twin’s protection. Her Alpha twin has risen to power in society and he can’t take a chance that something might happen to her (ergo him). I honestly didn’t see how things might change for Cass. Locked up in solitary confinement for four years she gets really crafty. I loved how she got away and what she did next. Of course, she finds a boy, Kip, and they pair up to change the world. Things are pretty bleak for these two throughout most of the story. I really liked both Cass and Kip. I thought Cass was well fleshed out and I loved how she stood by her principles. Kip was really reliant on Cass and I found him to be a hard person to pin down. He seemed pretty devoted to Cass, which is pretty sad for him. I liked Cass and Kip together, although I didn’t think it was a swoon worthy romance. I think they helped each other in a lot of ways. I loved the world building in this story. The author gave me enough details to outline the scenes but it was still vague enough for me to imagine my own world. I doubt two people reading this book would imagine exactly the same world. This world is dark. Cass and Kip have no safe haven in the world. There are towns of Alphas that would kill them on sight and then dreary Omega settlements surrounded by vast expanses of land off limits due to nuclear fallout. The world is dark. I liked the complexity of this world a lot. The good guys (Omegas) verses the bad guys (Alphas). Killing a bad guy will kill a good guy too. The Alphas come up with all sorts of inventive to keep those Omegas safe and out of the way. There are real problems with this society. It seems like Cass is the only one who sees that the solution is simple. Ugh! The greater premise of this story is one that addresses this question. Characters talk of 'the Blast', seemingly a nuclear A grudging 3 stars. The greater premise of this story is one that addresses this question. Characters talk of 'the Blast', seemingly a nuclear explosion that ruined the earth well before the story takes place. It has affected the landscape and the very nature of humanity. Now every birth is that of twins, one 'perfect', one with some kind of deformity, yet inescapably linked. If one dies, so does the other. Great. All well and good. But. This is where the premise gets a little muddy for me. I know people can be arseholes but if my life depended on the wellbeing of another person, I'm not about to let them wander off into the great beyond to suffer some kind of starvation/subsistence living, or be worked like an animal on a refuge, or locked in a cell to waste away. I can understand these Omega twins being negatively defined culturally but any ill health could kill you. It would be in your best interests to at least make sure they aren't going to drop dead before their time. Aha you say, the plot answers this problem. Yes, I suppose. Tanks. Not a unique answer (please refer most recently to the Matrix). Never mind that there is a supposed fear and ban of technology did to 'the blast'. Never mind that people who have not been using much technology have managed to build cryo chambers. Anyway, it's all part of a greater crackdown on the 'lesser' twins. Into this steps the main twins of the story. One 'perfect' but evil, the other just as perfect (no physical deformities for her) but with visions and a conscience. She wanders around for the story complaining about her visions. She meets two guys, falls for both. Still, she seems to be the only one in the whole world that understands the stupidity involved in having outright warfare between two groups that inevitably kills one from each camp. It seems like a backwards version of that bit at school when two captains got alternate choices to pick for their team...right, I'm going to kill this person and hope nobody important on my side dies... Good plan. So much potential, yet this book fell flat. Now, I’m writing this review for myself as much as anyone because I want to figure out where everything went wrong. Nothing particularly sticks out to me as the reason that I gave The Fire Sermon only 2 stars – there wasn’t anything which immediately put me off like insta-love or infodumps etc. Quite the opposite really, I found there were things which could have pulled me into the story – the thing is they didn’t. Everything was so… impossibly… slow… tha So much potential, yet this book fell flat. Everything was so… impossibly… slow… that whenever something of interest happened it was dragged out until it felt unimportant and I lost the initial spark of hope that the story would pick up. So much of it was spent running from one place to another without any climax. From a critic’s point of view I could admire Francesca Haig’s writing, but as someone looking for a good read; not so much. To be honest I was bored. My attention kept drifting to the most menial things and my eyes would roam over words but skip more. Reading became a chore and all I wanted to do was finish. Books don’t have to contribute on a major scale to your life for them to be good; they could simply take you away from it for a few hours or be an enjoyable read. The Fire Sermon did none of these things for me. The concept (learned through the synopsis) drew me in and it was reading about it that didn’t hold. It also didn’t help that the characters were very one-dimensional with unimpressive arcs that felt unnatural. If some of the characters didn’t exist, there would have been very little difference to everything as a whole (this includes one of the main protagonists, Kip, whose name I had to look up even though I finished the book less than a day ago). In the end, I have to come back to my original point: there was potential here for a mind-blowing story but alas it was not. A great premise, and a terrifying new world where the Alphas are on top, their twins, the Omegas on bottom. Loved the catch that they must protect their twins at the same time they are keeping them at the bottom of the social and ruling scale. Leads to some horrible and unique ways of keeping them safe. Yet, this reads like a YA book, the romance between two of the Omega escapees seems trite, and some of the lightness in very dangerous moments did not ring true. It bothered me, but might not both A great premise, and a terrifying new world where the Alphas are on top, their twins, the Omegas on bottom. Loved the catch that they must protect their twins at the same time they are keeping them at the bottom of the social and ruling scale. Leads to some horrible and unique ways of keeping them safe. Yet, this reads like a YA book, the romance between two of the Omega escapees seems trite, and some of the lightness in very dangerous moments did not ring true. It bothered me, but might not bother a different audience. So okay as post apocalyptic books go, but not one of my favorites. Though I believe is has already been optioned for film, so, what do I know? This is the plot and what happened I'm doing this cause I don't want to read this again. Read if you don't want to continue with this book. (view spoiler)[ So basically it's set 400 years after a nuclear blast and technology and things from Before are seen as bad because of the blast. After the blast all humans were born in twins, one male and female one of them is an unblemished flawless alpha while the other is either mutated or with fault and is known as an omega and as soon as the fault is spotted they are branded with thee omega symbol and sent to live in a special omega settlement with tithes and poor land and cruel alpha council oppressors. They are also sterile and both twins will die at the same moment no matter how far appart they are and if one twin is severely hurt the other will also feel it yet no one understands this link. No one knows of the old name of their land or if there is an elsewhere a land beyond. Some omegas are born unblemished on the outside but with a strange mental ability/curse which gives them visions and dreams of the future and can be used to guide them through unknown territories, they are known as seers. Cass was branded and sent away at thirteen because no one could find any omega mutations on either her or her brother but her brother knew about her gift from early on and managed to expose her by making her feel bad for him when the council man came to their house on Zach's call and when Zach tried to admit he was the seer but Cass couldn't have it on her conscience that Zach would be wrongfully sent away and Zach knew this. First let me say I find it strange that the people of this world don't know anything much of the outside world yet remember the first and last letters of the Greek alphabet. :/ Hmm.. anyway when I first started this book I wondered whether it was a high fantasy but then as the world building came I got a feeling of urgh. I got this feeling because I cannot say how many times I've read dystopian or apocalyptic books mentioning a Before and After I mean it has been done sooooo many times already that with the world building I felt kind of been there done that. But what really greyed the book was the characters. I mean they all felt so flat and unrealistic and I never felt anything for them even the main narrator, Cass. I felt they all lacked the emotions, personalities and depth that all well developed characters should have. Cass frustrated me more than once. I mean when she was with the rebellion she was always told she was valuable to them because she could be used in certain ways and they often spoke of her like a chess piece. She never got frustrated with this and although she did remind Piper sometimes that his leadership methods were heading in the same way as the alphas methods, she hardly stood up for her own life choices and individuality. It was like she also saw herself as a pawn in politics and just seemed to accept that. I mean wouldn't most people want to stand up for the right to chose what happens in their lives!? The things I did like was the unpredictability of Cass and Kip's journey and the twists towards the end. The suspense and action was present throughout most of the book with many action scenes and there's something about on the run books that really grabs my attention. I also must add the descriptions of post apocalyptic cities never fail to impress me... for some reason. Not quite a 4, but more than a 3 so I'm rounding it up. The Fire Sermon is a debut novel about a post-apocalyptic world in which everyone is born with a fraternal twin. One twin is the alpha, and one the omega. Every omega twin is marked by a physical deformity of some kind while the alpha is not. Rarely, an omega twin will be born with no physical deformity, but will instead have some psychic power as a seer. The twins are linked for life however, and when one dies, so does the other. A social st Not quite a 4, but more than a 3 so I'm rounding it up. A social structure has developed such that omegas are treated as outcasts and made to live separately from the alphas. They are given poorer lands, not allowed to marry, and are generally treated very badly by alphas. The alphas would just go ahead and get rid of the omegas if they could, but of course they can't do that without harming other alphas. The story centres around an omega seer named Cass and her alpha twin Zach. Cass longs for a world where everyone can just get along, but Zach wants to rise to power in the current alpha society. You can already see where this is going, and it isn't anywhere good. What makes the story here a bit different is that instead of just imagining what it would be like if we were all linked together by a common thread, these people have to live it. It actually hasn't made a bit of difference in terms of how they treat each other, as they still manage to create and oppress a lower class even while each person is inextricably linked to each other to the point of death (which really, you would think would make for some eye-opening moments for these people, but apparently not). Still, Cass maintains her vision of a united society, and I have to respect that. There was something more I wanted out of this book, and to be honest, I'm not quite sure what it was. I liked the story well enough, but for some reason I couldn't get too emotionally invested in it. In letzter Zeit hört man oft, dass Dystopien auf dem absteigenden Ast und eher unbeliebt sind. Ob es also Glück, Zufall oder ein Risiko ist, dass der Heyne fliegt-Verlag dennoch die "Feuerzeichen"-Reihe übersetzt: Ich freue mich sehr darüber, so viel darf schon mal gesagt sein. Obwohl ich die Übersetzung an einigen Stellen recht holprig fand, wird diese doch im deutschsprachigen Raum hoffentlich viel Aufmerksamkeit auf die Bücher lenken. Zwillinge sind für mich immer ein spannendes Thema, Francesca Haig hat es zudem auch noch mit dystopischen Elementen vermischt, die ein unglaublich tolles Konzept bilden. "Das Feuerzeichen" ist zwar stellenweise ein etwas langatmiger Jugendroman, kann aber dennoch neben dem kreativen und beängstigenden Setting eine faszinierende Geschichte bieten. Die post-nukleare Welt, in der die Zwillinge Cass und Zach leben, wurde durch eine riesige Explosion zerstört. Technik und Elektronik sind seitdem tabu und gehören nur noch in das beängstigende Vorher. Einige Zeit nachdem die Überlebenden sich ihre Welt wieder aufgebaut haben, wurden plötzlich nur noch Zwillinge geboren, immer ein Junge und ein Mädchen. Jeweils eines der Babys hat einen Makel, in den meisten Fällen einen körperlichen. Mal fehlt eine Gliedmaße, ein anderes Mal hat das Kind mehr als zehn Finger. Dadurch hat sich nach und nach eine neue Gesellschaft gebildet, die sich in Alphas und Omegas aufteilt. Die missgebildeten Omegas haben kaum Rechte, werden durch ihre vermeintliche Verbindung zur nuklearen Katastrophe regelrecht gefürchtet und doch sind sie absolut notwendig; denn wenn ein Zwilling stirbt, geht es dem anderen im selben Augenblick genauso. Die Protagonistin Cass hat keinen sichtbaren Makel, sondern ist eine Seherin. Aus diesem Grund dauert es viele Jahre, bis ihre Eltern herausfinden, welches ihrer Kinder ein Omega ist, damit sie dieses in eine der heruntergekommenen Omega-Siedlungen schicken und ihr Alpha-Kind fördern können. Ihr Bruder Zach, der schon lange die Ahnung hat, dass er auf keinen Fall der Omega ist, kann mit der Demütigung, noch nicht wie alle anderen Alpha-Kinder gesplittet worden zu sein, kaum leben und versucht alles, um sich ein eigenes Leben zu erkämpfen. Cass selbst ist eine Protagonistin, die mich zweigespalten zurücklässt. Ihre Seherfähigkeiten machen einen großen Teil ihrer Persönlichkeit und ihrer Handlungen aus. Dabei ist die Art, wie sie diese Fähigkeit einsetzt oder wie die Visionen zu ihr kommen, auf eine vielseitige Weise dargestellt. Manchmal träumt sie von etwas, das in der Vergangenheit passiert ist, oder von etwas, das erst noch geschehen wird; andere Male funktioniert ihre Gabe wie eine Intuition, die ihr zuverlässig zeigt, was sie tun muss. Wieder andere Male tappt sie hingegen vollkommen im Dunkeln. Welches davon zutrifft oder warum es so funktioniert, wird nicht näher erklärt. Leider kommen durch Cass‘ Visionen und ihre Intuition einige Längen zustande. Manchmal hatte ich sogar das Gefühl, dass sie zugunsten des Plots zu Höchstleistungen auflief — oder eben nicht. Die weiteren Charaktere, wie Cass‘ Bruder Zach und solche, die sie im Verlauf der Geschichte kennenlernt, habe ich ebenso interessant empfunden. Einige Personen verhielten und entwickelten sich für meinen Geschmack etwas zu extrem, auch wenn dies durch die Umstände gut begründet wurde. Dennoch hätte ich mir hier stellenweise etwas vielschichtigere Persönlichkeiten gewünscht. Page one, first line, and I. Am. Hooked. That was all it took and not once did my mind wander! The Fire Sermon by Francesca Haig was pure magnetic reading for me. In a post-apocalyptic world, hundreds of years into the future Earth as we know it does not exist. In its place is a primitive world where singular births no longer exist and each pregnancy ends with the birthing of twins, one whole, normal and desirable, called an Alpha. One is always born with some type of deformity, limbless, blind, Page one, first line, and I. Am. Hooked. That was all it took and not once did my mind wander! The Fire Sermon by Francesca Haig was pure magnetic reading for me. In a post-apocalyptic world, hundreds of years into the future Earth as we know it does not exist. In its place is a primitive world where singular births no longer exist and each pregnancy ends with the birthing of twins, one whole, normal and desirable, called an Alpha. One is always born with some type of deformity, limbless, blind, or worse, the most feared of all Omegas, a child perfect on the outside, but with psychic abilities. 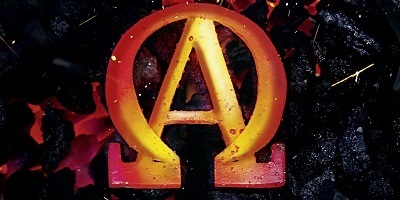 Normally separated soon after birth, the Omega is branded and sent to live with others who are less than perfect while the Alphas proclaim their dominion over the world. Is there a catch to the twins’ existence? The one weakness that cannot be avoided is that should one twin die, the other will die with them, no matter the miles and livestyles separating them. Cass and Zach were born looking perfect, but Cass is a Seer. On the day her brother betrayed her to gain favor within the ruling council, she began a journey through life that would be the turning point for the inequalities faced by those who were less than perfect. Meanwhile, Zach has begun his climb to the top of the power chain, willing to be ruthless and cold in an effort to secure his place in the world. Two siblings, once best friends and confidants are now pitted against each other in a brutal and deadly game of survival as Cass’ superior psychic abilities are put to the test against an Omega who has defected to the Alpha side, and is determined to see Cass brought down. Technology is non-existent, but someone has found the key to harnessing electricity and building a house of horrors in the name of science, but is the true reason? Is the future retreating back to one of the darkest times in Earth’s history by experimenting on human Omegas until their bodies can take no more? Rebel Omegas are banding together and hiding out until they are prepared to do battle for equality, will there be Alphas who share their dreams? Will they stand by them, fight with them or will the council crush the revolt before it begins? Cass could be the key to victory, but at what cost? People will die, two by two, but only one death will either crush Cass or forge her heart into a raging inferno for justice. Francesca Haig has wrung every emotional response possible out of me a she builds a bleak and troubled world based on fear and prejudice. Her characters feel fear, insecurity and are not born equipped to wage war, but when push comes to shove, and the heart is involved heroes rise, take risks and learn to believe in the possibility of a better world for everyone. Filled with the perfect pacing for each scene, this journey into a world that could be is at once, frightening and fascinating to be part of. Could this be the world we are leaving for our descendents? I received this ARC edition from Gallery, Threshold, Pocket Books in exchange for my honest review. 3.5, can't believe I've started with decimal stars! Imagine a setting, far into it future, where the world has been scorched by fire; parts are uninhabitable, parts arable and a lot seems unexplored. Using our knowledge we can assume that there has been some sort of nuclear event- the fire sermon. The event seems to have been caused by evil Electric but given we're in the future with no technology, or living memory, we don't have the finer details. This doesn't matter. Now imagine the fall out, th 3.5, can't believe I've started with decimal stars! Now imagine the fall out, the damage done to humans. The contamination. This society has grown up believing that it is essential to avoid the contamination, even to avoid remnants of the past: buildings, Electric etc. they are taboo. All humans are now born as twins, one perfect (well healthy) the other contaminated. This could be extra toes, a missing limb or even a Cyclops-style single eye. Although this always threw me as I can't help wondering if that could actually happen. Okay, I can get on board with this thinks me. But...when you're twin is hurt, you feel it. When they are ill, you get the same temperature. When they die so do you. These contaminated twins aren't covered in pustules or contagious they (mostly) just have a physical difference. You die if they die. So would you segregate them off to the worse possible farm land, not allow them animals, not have any contact with them or ensure they took good care of your twin lives? Hmmm, that's a tough question. I guess I'd send them off to starve and become ill?! I struggled. Also, essentially animals haven't been affected, we're told some are born funny. There was a two-headed snake. Only one character, lovely Cass, questions this. What? Why? How? I want to know how this works, what caused it, why people don't care about their twin. This took a star. TRIGGER WARNING: Ableism, and lots of it. The society based on ableism, so it's pretty inescapable. Thankfully, the story is told from the point of view of someone who believes that ableism is wrong - otherwise the book would've been unreadable. Is The Fire Sermon post-apocalyptic or fantasy? Maybe it's supposed to be both. The post-apoc elements work best, but the fantasy elements had me questioning the world-building. There was a nuclear blast, which blighted the land and decimated the populatio TRIGGER WARNING: Ableism, and lots of it. The society based on ableism, so it's pretty inescapable. Thankfully, the story is told from the point of view of someone who believes that ableism is wrong - otherwise the book would've been unreadable. In each birth pair, one is Alpha and the other Omega. (It's random which child is which, so thankfully no sexism.) The Omega may have missing limbs or extra digits, whilst the Alpha is the "stronger" one. (I warned you about the ableism.) Due to the blighted land, crops don't grow well, and modern technology is seemingly non-existent for most, so I'm unsure of the jobs situation. Because of finances, and the government's scare campaign, as soon as Omegas are weaned they're cast out, usually sent to an Omega relative to raise. But there's a rare form of Omega, like Cass. She has the "correct" numbers of body parts, but instead she's psychic. Cass seems to feel that being a seer is...well, a "disability", but since Alphas and Omegas alike both want to use her for it... Maybe everyone EXCEPT seers think it's an advantage? Cass has some seer angst here - she fits in with neither Alphas nor Omegas. Cass's Alpha twin, Zach, is a political mover and shaker. But he doesn't fit in with his fellow Alphas, because Cass wasn't sent away until they were thirteen, so Zach's dealt with being suspected of "poison" just as much as Cass has, until their separation. Zach resents Cass for not turning herself in earlier. But there's one thing preventing Alphas from killing their Omegas (and if you thought it was a conscience, you're wrong). Twins are somehow linked, so that when one of the pair falls seriously ill or dies, so does the other. Born together, die together. A political big-wig like Zach doesn't need to be assassinated - his enemies could simply kill Cass instead. Fantasy is not my forte, and I can only keep interested in slow travel for so long. Also, the New Hobart section doesn't add much, and could have easily been shortened. While I admire Cass's altruism, I never warmed to the other major characters (Zach and Kip). Iffy world-building aside, The Fire Sermon grabbed me from its concept, and kept me with its post-apocalyptic intrigue. Francesca Haig's well-crafted secondary characters and fleeting glimpses of technology left me wanting more - and there are two books to go in the trilogy, so onward and upward! P.S. I ship Cass with Piper. I really need to stop rating books while I'm still in the afterglow stages of reading. I almost always come back later and pull it down a star or two after considering the plot holes and flaws in the book. I saw this cover in a book store a few months ago and simply stared at it for a few moments. The publisher and author would have to be confident in both the cover art and the content to be able to put out a book like this. And their gamble worked. It got my attention. 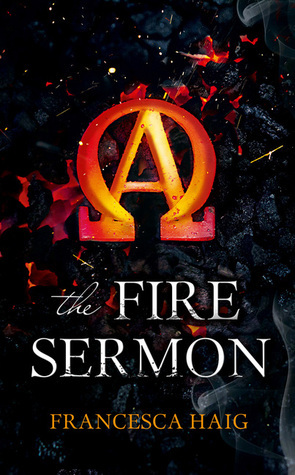 The Fire Sermon is a post-apocalyptic novel where everything has basically reset. Whole nations and societies were destroyed from a nuclear blast and due to fallout exposure, the world has changed in dramatic ways. Children are only born as twins, an Alpha and an Omega, boy and girl. An Alpha is strong and whole and is given all of the best opportunities in life. Omegas are deformed and infertile. They may be missing legs or an eye or be mute and are left ostracized on the outskirts of society to be forgotten by their Alpha twin. But here's the catch. If one twin experiences extreme pain, illness, or death, the other does as well. There's no choice in that. If one dies, the other does as well. Cass and Zach are twins but neither one has an obvious deformity. Unlike many other twins that are separated young, they grow up together, waiting for the other to expose their Omega trait. Cass is keeping a secret though and has become very clever at hiding it. She is a Seer, a rare brand of Omega and once Zach discovers it, everything goes to hell. This book is definitely a rollercoaster ride. There is a lot going on and the characters are in constant movement. Time passes quickly in the first bit of the book, showing Cass and Zach growing up, and it allows for some excellent world building. The entire world is scared of machinery and electricity because it was seen as the downfall of the "Before" civilization. Life has been reduced to pre-industrial standards and civilizations are once again based on agriculture and trade instead of technology. Cass was an interesting character to read. She is strong where she needed to be strong but also has her vulnerabilities. She loves her brother dearly and in many ways, cannot accept what he is doing to her. She struggles with reconciling her childhood sibling with the man that he has become and it holds her back throughout the book. It's her major flaw. She cannot escape the memories of playing with her brother as a kid and those memories make her make stupid decisions. Cass's companion, Kip, fills the role of helpless sidekick for me. He's missing his arm but plays the clever supporting character that doesn't do much on their own but helps the main character throughout the book. From the beginning, it was obvious that he was going to play the love interest but that part of the book was remarkably muted. There's very little passion which gives more time to the plot and action but it was a little disappointing to read. But there are some extreme noticeable flaws that are big drawbacks to this book. One. If I had a twin and had to rely on them for survival, I would be a little bit nicer to them. I would not send them into the slums to scrape a living where they could get sick, get infections, fall off a cliff, or whatever. I would put them in a house with myself and take care of them. Because there are always those people that would resent being abandoned and take revenge on a sibling by waiting until they were successful and then finding a way to torture them, or even more extreme, kill them. It's a big plot hole. If I was ostracized by my family, you can bet that I would take it out on my perfect sibling. That's human nature and I'm surprised that wasn't considered in the book. Two. The role of electricity isn't really fully explained. If they are trying to keep it under wraps, then having guards around swinging light bulbs seems rather short sighted. And where are the generators? How are they making the electricity? Three. I'm convinced that if Kip hadn't been in the plot, it wouldn't have changed much at all. In fact, Cass might have been able to do more things in a more significant way by relying on herself. She leans on him a bit too much for my taste and it holds back her character growth. The world building is awesome but the large plot holes make it a less enjoyable read. It's really a unique concept and I wish that it had been developed more. It's different than all other YA dystopian/post-apocalyptic novels out there and it was held back by characters that were a little bit too cliche and plot devices that didn't really work in the end. But I will read the next one when it comes out. I think it has potential and I'm looking forward to it. I feel torn with this book because it had the potential to be really good, and at certain points I started to believe that maybe it was beginning to become what I thought it was capable of. However... now that I am done with the book, I feel disappointed. The general idea of the book was clever- Every person has a twin, but one twin has a deformation while the other twin remains unscathed. Twins are separated at birth based on the ideals of society, and one girl (Cass), is determined to change tha I feel torn with this book because it had the potential to be really good, and at certain points I started to believe that maybe it was beginning to become what I thought it was capable of. The general idea of the book was clever- Every person has a twin, but one twin has a deformation while the other twin remains unscathed. Twins are separated at birth based on the ideals of society, and one girl (Cass), is determined to change that. However, when it came to the plot itself, I felt like it was lacking. One thing in particular that I noticed was that the relationships between characters were not well developed. For example: the relationship between Kip and Cass had the potential to be great, but it was unfortunately never properly developed. One moment they were simply traveling companions, and then the next moment they are kissing! It's because I'm cursed with the inability to stop reading a book once I have started it. The only one thing I liked about this book was the concept that if one twin died, the other one died as well. This added some complications to the whole rebellion thing considering that you couldn't kill one person without killing their completely innocent twin. I just want to say that I totally predicted that the Confessor was going to be Kip's twin. I hadn't worked out the logistics of how it could work, but I just had an intuition that it was true. And what do you know... I was right! Also, can I just comment on the fact of how detached Cass was after KIP KILLED HIMSELF TO SAVE HER!!! For a post-apocalyptic novel to really work, it needs to be plausible. There are a few problems with this new series that disconnected me from the story - all of the sudden, everyone has a twin! And one of the twins (but only one, always) has a deformity! And society is divided into Alphas and Omegas. Except if your twin dies, you die. I actually like the consequences to this divided society, to the extra risk of murder/illness for your twin, but it isn't explained. It would have been more belie For a post-apocalyptic novel to really work, it needs to be plausible. There are a few problems with this new series that disconnected me from the story - all of the sudden, everyone has a twin! And one of the twins (but only one, always) has a deformity! And society is divided into Alphas and Omegas. Except if your twin dies, you die. I actually like the consequences to this divided society, to the extra risk of murder/illness for your twin, but it isn't explained. It would have been more believable on a different planet or for a different species or to have some kind of virus... but the explanation is "for an unknown reason." Weak. If this core concept had been handled better the entire novel would have been much stronger. Then they spend 1/3 of the novel running through a forest to an island. This would have been a great time to get to know these two characters more but you really don't, it's more descriptive of the journey than of them. They seem to have a brother-sister type relationship and then suddenly they are kissing. I wanted that story, that arc, but it seemed to just be there when convenient. This book was so different from others that I have read and I utterly loved it! It was wonderfully written and the story was unique with a great concept to it. The characters were well thought out as well(I especially loved Kip). It was the opposite of predictable which I absolutely loved! The storyline kept you on your toes as you didn't know what to expect was going to happen next. The story is full of uncertainty. The ending had a huge twist to it that shocked the hell out of me. The ending was the only thing about the book I didn't like. Not because there was any faults to it but because of something that happened in the story. I didn't like what happened and it made me cry a little. It would be the only thing I would change about this book. I was kindly given a copy of this by the nice folks at HarperVoyager when I went to interview for a job there in 2014*, so I feel slightly guilty about the lukewarm review I'm about to write, but I honestly can't give this more than 2.5 stars. The book is set in a dystopian future in which humanity have survived a huge 'blast', but the few stragglers that survived have mutated due to the radiation** so that every single time a woman gives birth she has twins, they are always twin pairs of one ma I was kindly given a copy of this by the nice folks at HarperVoyager when I went to interview for a job there in 2014*, so I feel slightly guilty about the lukewarm review I'm about to write, but I honestly can't give this more than 2.5 stars. The book is set in a dystopian future in which humanity have survived a huge 'blast', but the few stragglers that survived have mutated due to the radiation** so that every single time a woman gives birth she has twins, they are always twin pairs of one male and one female, and one of them is always 100% fine, while the other has some form of 'disability' (a missing limb, congenital blindness, dwarfism, for example). The kids who aren't born disabled are known as alphas and the ones who are are called omegas. The omegas are seen as 'poisonous' or taboo by the powerful alphas and so when they are born they are all branded with an omega on their foreheads and sent away to live in poor settlements, cared for by other alpha relatives while they're young. Conveniently for the plot and world-building, all of the omegas are infertile . HOWEVER, due to another contrivance – and this is very central to the story – alphas and omegas are linked to their twin in death – in other words, when one of them dies the other dies straight away, no matter how far away they are from one another (still following?). So basically, the whole thing is incredibly contrived from the outset, and although Haig writes well for someone writing a YA dystopian novel (her writing is technically much better than Suzanne Collins' for example, but her plotting and pacing ARE NOT), the way that this was explained at the beginning of the book, rather than feeling novel or interesting, was actually quite tedious. So anyway, the book is written from the perspective of Cass (I've just finished reading this 400 page book and I actually had to look up the protagonist's name just now - not a good sign), who is an omega who's 'disability' is essentially that she's psychic (?!) (or 'seer' as they're known). But she can only see certain things that don't directly give the game away to the reader or imperil the plot of the book. Cass is sent away when she is a teenager to scrape a living off the land while her brother becomes powerful and makes enemies. To keep himself safe, he has Cass kidnapped and locked up in a cell (so no one can kill her and therefore him), but she escapes and on the way meets another omega, Kip, and together they go on a quest across the barren lands to find the omega resistance and escape her evil brother. I went into this book genuinely wanting to like it, but there were just so many things that were wrong with it. The pacing was irregular, with quite a bit of action at the beginning but a lull in the last half which made it difficult to get through. It was also really inconclusive. I could tell about halfway through that, unlike previous YA fantasy/dystopian series (e.g. Hunger Games, Harry Potter, Northern Lights), the book wouldn't be a nice succinct story with a pay-off and the scene set for another story within the larger plot, it was essentially just the first third (or fifth? Or ninth?) of a much larger book. Also, while there were undoubtedly a number of 'strong female characters', every single one of the characters, both male and female, fell flat. This might in part be because they were viewed through the lens of the protagonist who, despite being a psychic jailbreaking fugitive, was dull as dishwater. Another thing that annoyed me, although I will admit that this is pretty niche, is what I see as a plothole relating to the impact of grinding poverty on life expectancy. You see, the alphas don't want to be around their omega twins, but they also can't kill them off because then they would die too, so instead they send them out to scratch out a living on really marginal and contaminated land, or encourage them to go to ghettoised fleapit reserves. As someone with a postgraduate degree in epidemiology, this struck me as ridiculous. The poor nutrition, infectious diseases and chronic ill-health associated with such levels of poverty would significantly reduce the omegas' life expectancies, so it would be a really stupid thing for the ruling class to do. And this isn't something that is difficult to work out either, people have known this for thousands of years, even if they didn't know the exact pathological mechanisms behind it. One of the few saving graces of the book was that, as mentioned before, it was actually pretty well written. I read that Haig is a poet, and this does come across in the prose, some of which is lovely. Despite the fact that there were so many problems with this book, I was not surprised that the film options had been bought before it had even been published. Clearly, there is a drive to recreate the success of the Hunger Games franchise (plucky female protagonist, dystopian future, underdog vs an evil all-powerful state), but I really think that this one was wide of the mark. *The second time in three years I'd interviewed for a job at Harper. The first time I got given Game of Thrones! On both occasions I would probably have preferred to have been given a job, but free books are definitely better than nothing! I received this book from Net Galley in exchange for an honest review. This book is a YA dystopian. I don't read a lot of dystopian but this one sounded interesting so I decided to pick it up and give it a try because the concept was different from most. I am really glad I did because I found the story very engaging and fast paced. In this story we have a world of Alpha and Omega. Alpha are the strong people and Omega are considered the weak, dead ends, and poisonous. When children are born they I received this book from Net Galley in exchange for an honest review. This book is a YA dystopian. I don't read a lot of dystopian but this one sounded interesting so I decided to pick it up and give it a try because the concept was different from most. I am really glad I did because I found the story very engaging and fast paced. In this story we have a world of Alpha and Omega. Alpha are the strong people and Omega are considered the weak, dead ends, and poisonous. When children are born they are born as twins, one boy and one girl. One will be born Alpha and one will be born Omega. Alpha babies are born perfect and beautiful while Omega babies have some type of deformity. As they grow in the family eventually they will have what they call the split when the omega baby is pushed out and sent away to a refuge belonging only to the Omega community. Cass is born the Omega and Zach the Alpha, neither have any deformities except for the fact that Cass has a secret that Zach tries to expose. The Omega people live in Segregation while being oppressed by their stronger counterparts, the Alpha. In the beginning, as babies, the Alpha and Omega will live together, but in the end they will die together as well. This world is dependent on Cass and Zach, which will overcome? I thought the plotline was so different in this dystopian story. I also found it to be fast paced and very engaging from page one. Rather than having a dystopian Government who oppresses it's people you have a group of people who oppress a weaker group of people. I love the concept of twins being born with one weak and one strong. I also love the connection between them that if one is in pain and dies, the other one is also in pain and dies. I think the imagery was also good, because of this, the world building is done very well, very visual. As for the characters I think they too were developed well. I have a complaint though which kept this from receiving 5 stars. I found our protagonist rather whiny and I did not see a lot of growth in her until the very last chapter of the story. She was born Omega and was oppressed and pushed out sure, but let me tell you she showed her weakness too well. She played the poor pitiful me too well. I would have liked to see her much stronger by the end of the book. I mean she had 3 or 4 different people telling her she was much stronger and much more important that she thought and it was still not enough for her to see it herself? There will be a sequel to this one and I hope to see Cass grow by leaps and bounds. I really like Kip a lot. I feel like his personality was much better and he would stand up and fight more for injustice than Cass would. He knew he was dealt a rotten hand and he worked with what he had. 2. It didn't draw me in, it was as simple as that. After reading so many (not that many) sci-fi (read: "dystopian"), they all just end up being the same. Oppressed society and revolution because of one special little lady, and bam—you have it. So excuse me, but this is not my favourite genre. Dit boek. DIT BOEK. Lees het. En snel een beetje. La premisa me parecía muy buena. Es muy común que los hermanos se vean comparados unos con otros, ya sea por ellos mismo o por otras personas. ¿Qué sucedería si uno estuviera destinado a ser el “perfecto” mientras el otro es considerado un “fracaso” con el que hay que lidiar? Pero lo cierto es que este primer libro me ha dejado a deber muchas cosas. La autora no explota exactamente eso sino que simplemente nos sitúa en un mundo distópico como han hecho muchos autores antes. Nacen dos gemelos, un La premisa me parecía muy buena. Es muy común que los hermanos se vean comparados unos con otros, ya sea por ellos mismo o por otras personas. ¿Qué sucedería si uno estuviera destinado a ser el “perfecto” mientras el otro es considerado un “fracaso” con el que hay que lidiar? Pero lo cierto es que este primer libro me ha dejado a deber muchas cosas. La autora no explota exactamente eso sino que simplemente nos sitúa en un mundo distópico como han hecho muchos autores antes. Nacen dos gemelos, un chico y una chica, uno es perfecto el otro está muy lejos de serlo. Son separados en cuanto las diferencias se hacen patentes así que no hay verdadera convivencia de hermanos (salvo en muy contadas ocasiones) sino que cada uno es un individuo sin más. Excepto por el hecho que si uno muere o sufre un gran dolor el otro lo sufre también. Sin embargo, había muchas cosas que para mí carecían de sentido. Para empezar, ¿por qué separar a los gemelos y mandar al más débil lejos donde no pueden saber qué le está ocurriendo? Si de la vida de otra persona dependiera la mía no la dejaría muy lejos de mi vista para asegurarme de que permanece bien viva. Por eso sí entiendo las nuevas medidas a adoptar por el Consejo (de las que no hablaré para no dar spoilers) aunque no dejan de ser crueles y adoptadas con 400 años de retraso. También me chocó el hecho de que reutilizan cables y hardware de 400 años de antigüedad. Pero sí hay incongruencias en la historia lo que se me ha hecho pesado ha sido otra cosa: la continúa huída sin final. Cass y Kip se pasan todo el tiempo huyendo, literalmente. Pero aunque van dando tumbos de un lado a otro no se terminan de asentar en ningún sitio. De hecho, el final de este libro es más de lo mismo: yendo hacia otro lado. Del final del libro no comentaré mucho pero lo cierto es que no me impactó, ni me dolió, tanto como esperaba. Prueba innegable de que algo anda fallando si no me siento conectada a los personajes. British author Francesca Haig has created a really interesting world in her debut novel The Fire Sermon. Four hundred years after an explosion that nearly destroyed the world life is very different for the survivors, technology was blamed for the apocalyptic event and is now banned so in a lot of ways it is like taking a step back in time and living in the past. Ever since the blast babies have been born in pairs, there is always one boy and one girl and there is always one Alpha and one Omega. British author Francesca Haig has created a really interesting world in her debut novel The Fire Sermon. Four hundred years after an explosion that nearly destroyed the world life is very different for the survivors, technology was blamed for the apocalyptic event and is now banned so in a lot of ways it is like taking a step back in time and living in the past. Ever since the blast babies have been born in pairs, there is always one boy and one girl and there is always one Alpha and one Omega. The Alphas are strong, healthy and physically perfect while the Omegas are born with some kind of deformity and often much weaker and more sickly than their Alpha twin. You might think that natural selection would see to the deaths of the weaker twins but one other thing is completely certain, the twins lives are inexplicably linked and, no matter how far apart they are, the death of one always results in the death of the other. The Alphas are the ruling class, the are the leaders and the ones with power while the Omegas are treated like second class citizens. The Omegas are forced to leave their homes as soon as they're disability is discovered and sent to live in special settlements with others of their kind. They are not allowed to mix with the Alpha's and they live difficult lives where they only have enough food to barely survive. Cass and Zach are different, where most twins are separated practically from birth they were raised together until they were 13. Cass always knew she was the Omega but because her disability wasn't visible nobody was able to prove it and all she ever wanted was to stay with her brother. Zach had other plans though, Cass was holding him back and preventing him from taking his rightful place in society and he will always hate her for that. Even when they are separated Zach holds a grudge and his hatred may well be the cause of all out war between the Alphas and Omegas. The Fire Sermon raises so many interesting questions and really makes you look at how humanity can be so quick to judge people. Why do groups of people always find it so easy to turn on each other for such silly reasons? We've seen it time and time again in the past so I don't know why it would surprise me to see it happening here but really you'd expect twins to be protective of each other - especially if they know that they will die if their twin does! That link between the twins also makes it very difficult for the Omegas to fight back, how can they fight the Alphas when for every Alpha they kill they also murder one of their own? Cass seems to be one of the few people who always sees both sides to things but that doesn't mean it's easy for her to convince others that she is right. I really liked Cass, she has such a unique way of looking at things and in spite of all the horrible things that her brother does to her she always tries to see the good in him. She is in a pretty impossible position and because of her link to Zach she is in as much danger to from the Omegas she is fighting besides as she is from the Alphas who hunt her. I enjoyed seeing her relationship develop with Kip but we never got to know him as much as I hoped to, mainly because he had no memory of his past so was pretty much a blank slate when he met Cass. I was worried at one point that we were drawing into love triangle territory but happily this was completely resolved by the end of the book even if it was in a very unexpected way. Talking of the ending there are some fantastic twists and revelations towards the end of the book, a few that I'd figured out myself but even though I had an idea about some things I would never have guessed how they would resolve themselves! Francesca Haig is an author and academic. Her poetry is widely published, and she is the author of the post-apocalyptic trilogy, The Fire Sermon series, which is translated in more than 20 languages. The Fire Sermon, her first novel, was published in 2015 by HarperVoyager (UK) and Simon & Schuster (US and Canada). The sequel, The Map of Bones came out in 2016. The concluding book will be publi Francesca Haig is an author and academic. Her poetry is widely published, and she is the author of the post-apocalyptic trilogy, The Fire Sermon series, which is translated in more than 20 languages. The Fire Sermon, her first novel, was published in 2015 by HarperVoyager (UK) and Simon & Schuster (US and Canada). The sequel, The Map of Bones came out in 2016. The concluding book will be published in 2017.